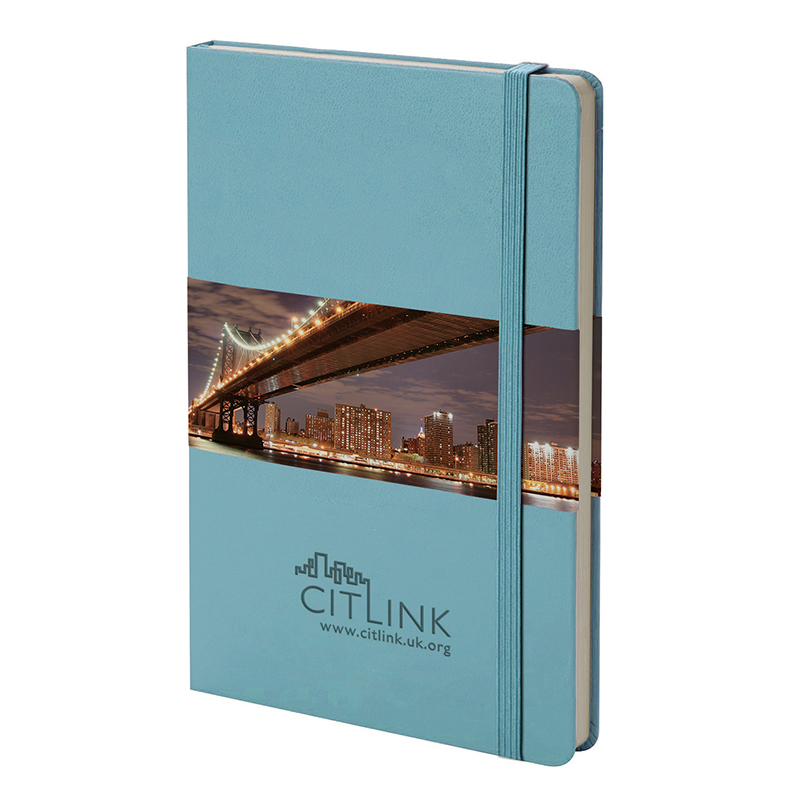 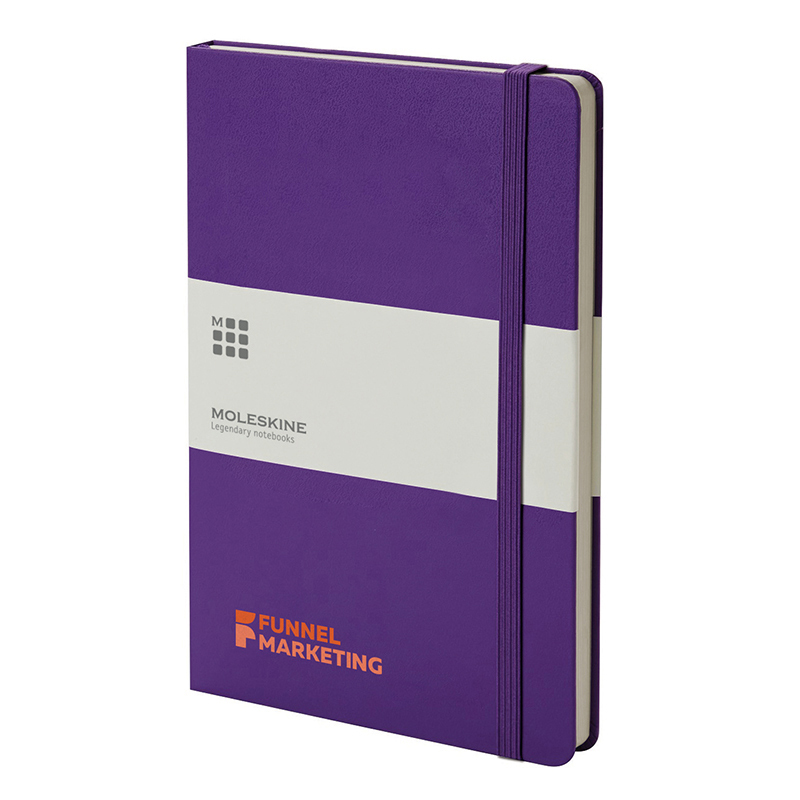 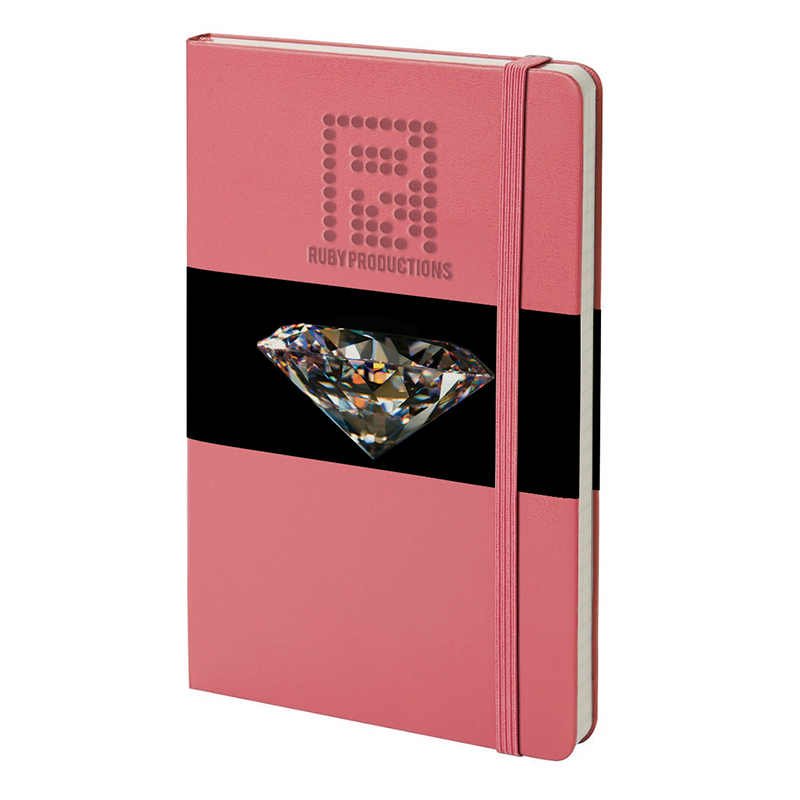 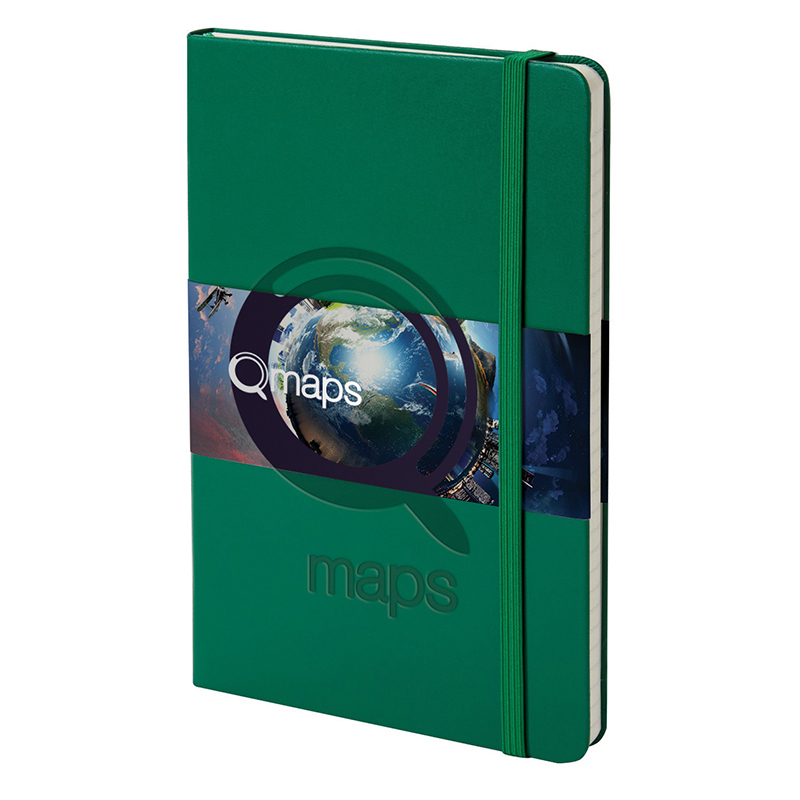 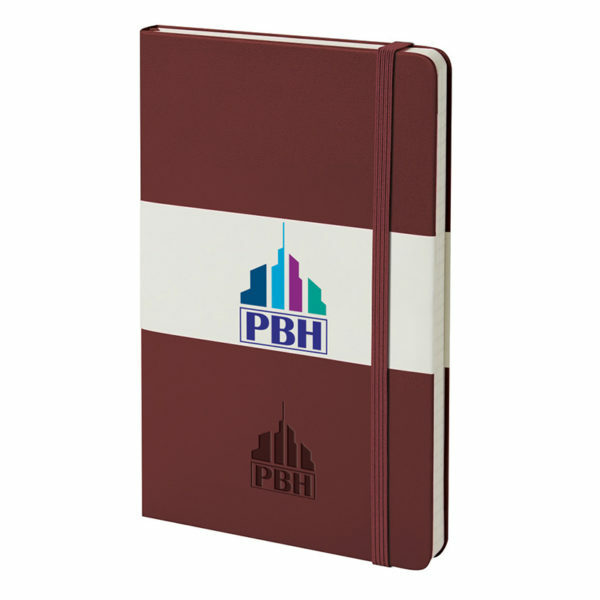 The Classic Notebook is an object imbued with a sense of history and creativity. 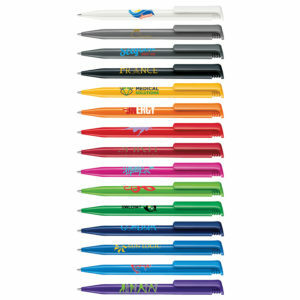 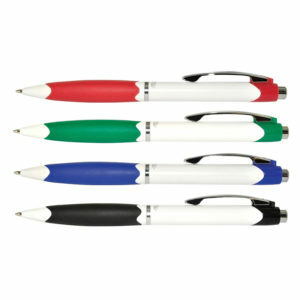 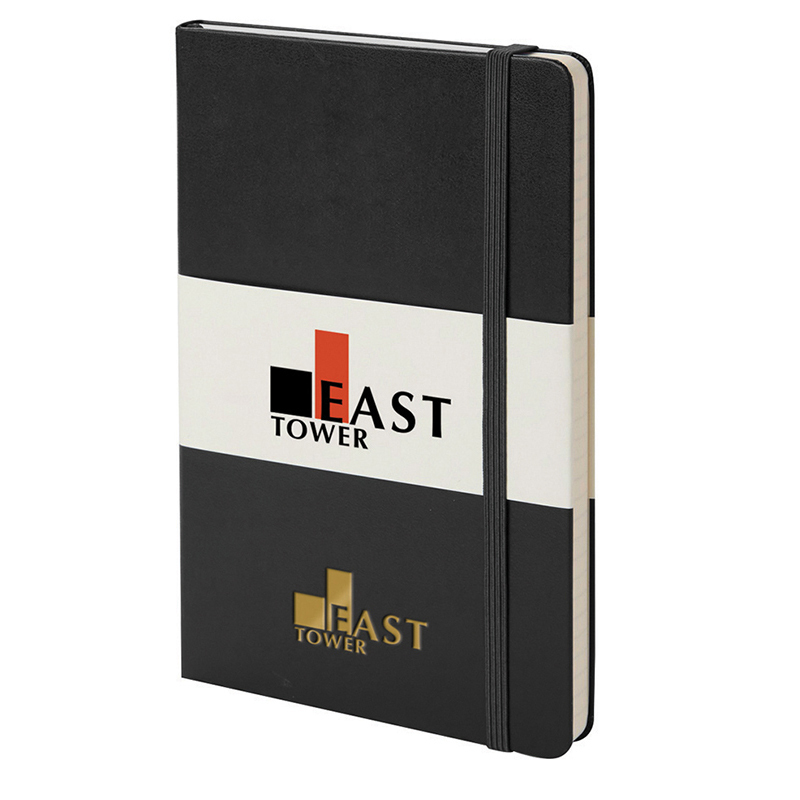 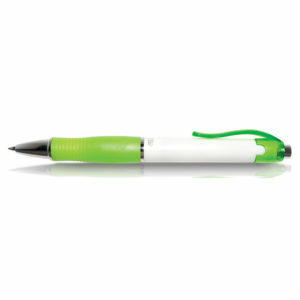 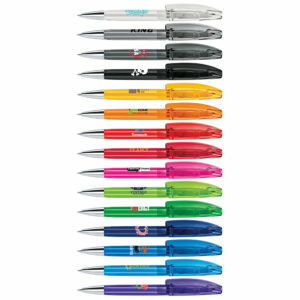 From the rounded corners elasticated closure and book marker its a true icon. The back cover features an expandable inner pocket in cardboard and cloth. 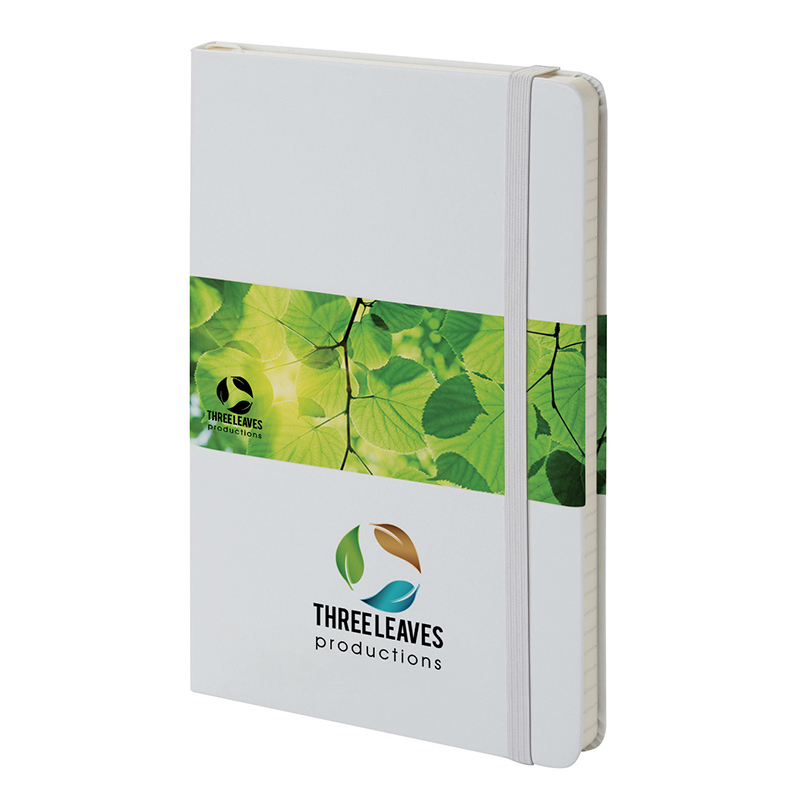 The Large version contains 240 ivory coloured pages. Your design is added by print debossing or foil blocking to the cover.